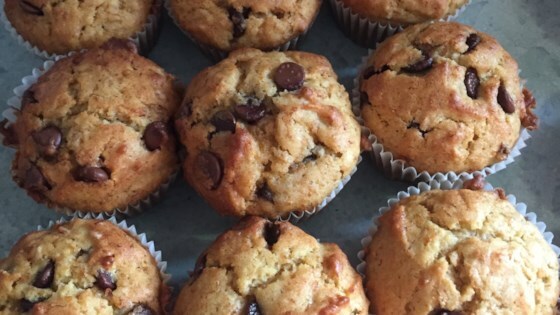 "This is a yummy muffin recipe that has become an annual tradition, especially for fall and Halloween class parties. Especially tasty when they are still warm, these pumpkin muffins are full to brimming with chocolate chips!" way too much oil, not enough pumpkin, taste ok, but not a keeper! Quick and tasty. Too much oil as written. 1 cup of oil is plenty.